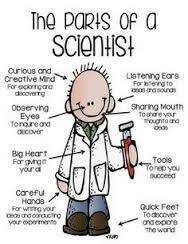 Science Week is approaching and I am sure many of you will be taking part. I am working towards the Discovery Primary Science and Maths award this year so I have science on the brain. I have been doing a bit of research so I will share what I found with you to help with science week! Choose an exciting project, something you and your class are interested in. For example, this week my class and I are learning about the oceans and what lies within them. I find that fascinating myself so we will do a science experiment based on the ocean this week. Encourage the children to be true scientists-all scientists keep records or logs, so encourage them to have little science notebooks to record their observations in, for the week and indeed for the whole school year. They can look back over them at the end of term and pick which experiment was their favourite. Remember to have your science rules in place- e.g. ‘we try new things’ , ‘we are very careful with our science materials’, ‘we challenge ourselves’. For science week, you could work on a number of small stand alone experiments, or you could have one longer investigation/experiment which may work better with the senior classes. I will be aiming to do a science experiment each day with my class. You could even have a mini science fair in the school and invite parents to attend. A number of children go out at various times to the general purpose room and demonstrate their experiments throughout the day. The above websites have more than enough suggestions to go on. The most important thing I think is to ensure you have all the materials and resources you need for each experiment prepared in advance. Once you have this done, you’re all set to go! And most of all, ENJOY! It is fun for us as teachers too- an excuse to do extra science!